One of the joys of making a public journey around the churches of East Anglia has been the hundreds (and probably thousands by now) of family history researchers in North America and Australia who have contacted me and asked me to keep a look out for obscure non-conformist chapels and churches. 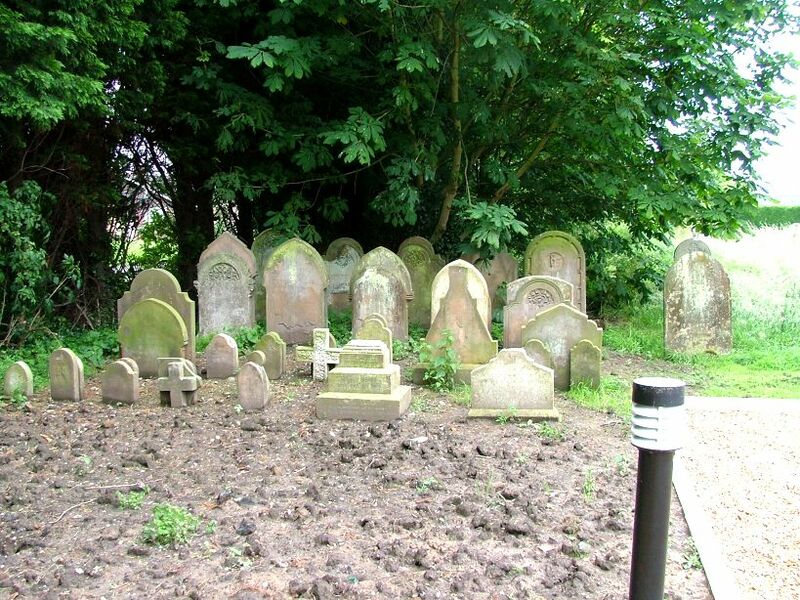 Many of these people have never visited England, and know that they never will now. It is a privilege and an honour to serve the East Anglian diaspora in this way. I had heard worried rumblings about this chapel - it was closed! It was being demolished! 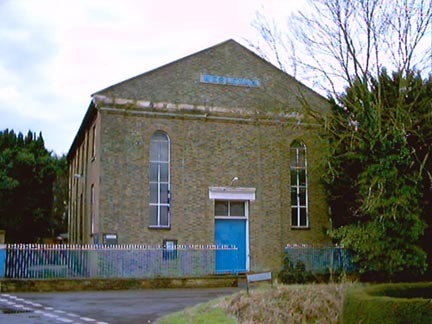 In fact, the thriving Methodist community in this area were doing that very thing that we admire them for - rebuilding to suit their modern liturgical needs. 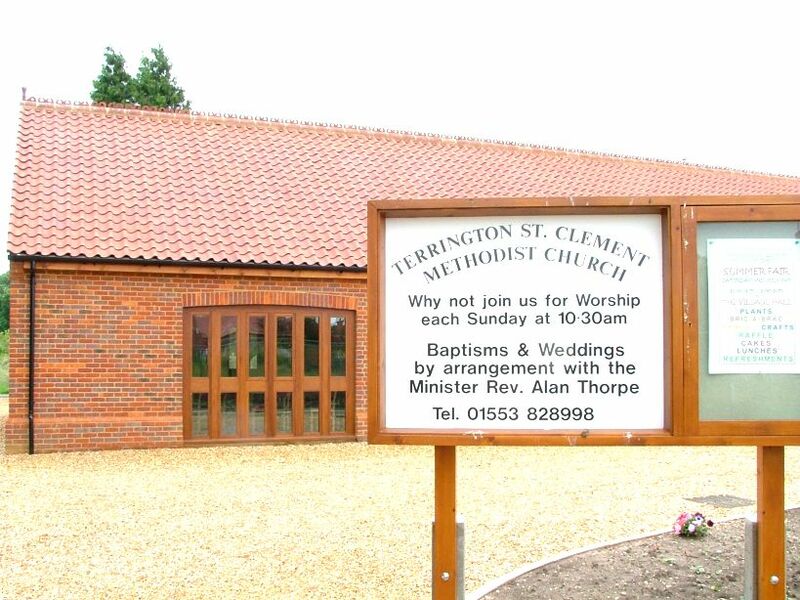 Looking at vast palaces like Terrington St Clement parish church, built as a Catholic church and now used as an Anglican one, it is so easy to forget that by the early 19th century most English people were not Anglicans or Catholics at all, but Methodists and Baptists. In these early 21st century days, as the Anglican church goes into freefall and the Catholic church has become the biggest church in the land again for the first time in half a millennium, it is pleasant and reassuring to see that a remote non-conformist congregation like this still goes about its independent and enthusiastic business in a way that is designed to suit itself and not its spin doctors. The new church is simple, functional, and very comfortable. 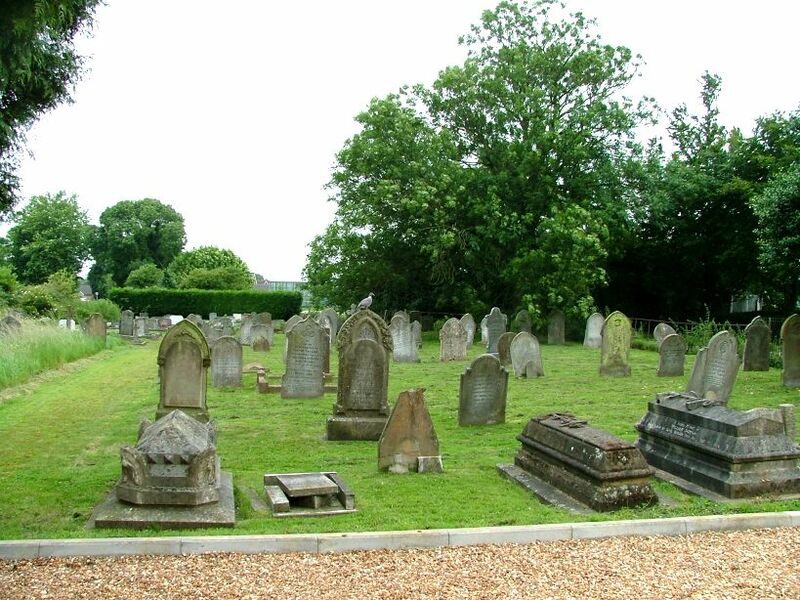 The 20 or so gravestones that had to be moved for the building have been reset in a prominent place on the edge of the new car park. 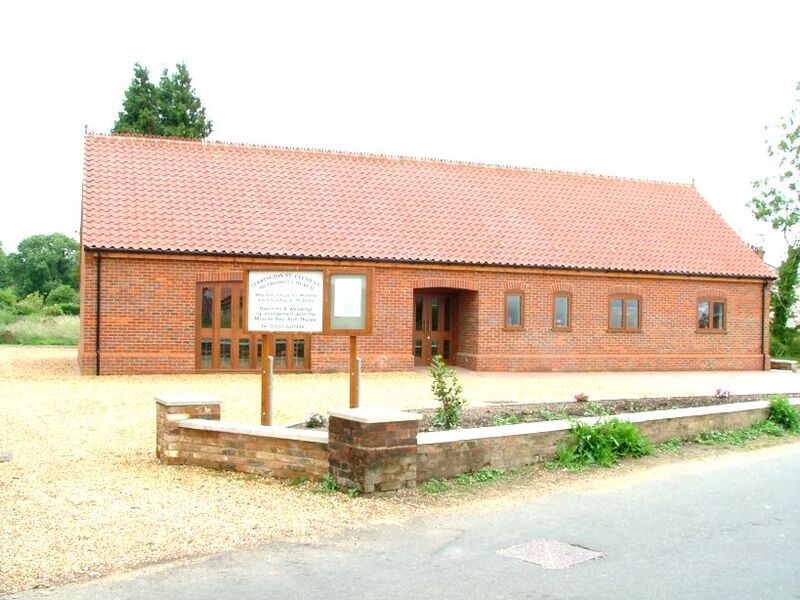 Norfolk has hundreds of non-conformist churches, past and present. Thousands of them, probably. I put hardly any of them onto this site; but some of them I do, simply because it pleases me to do so. Any requests?